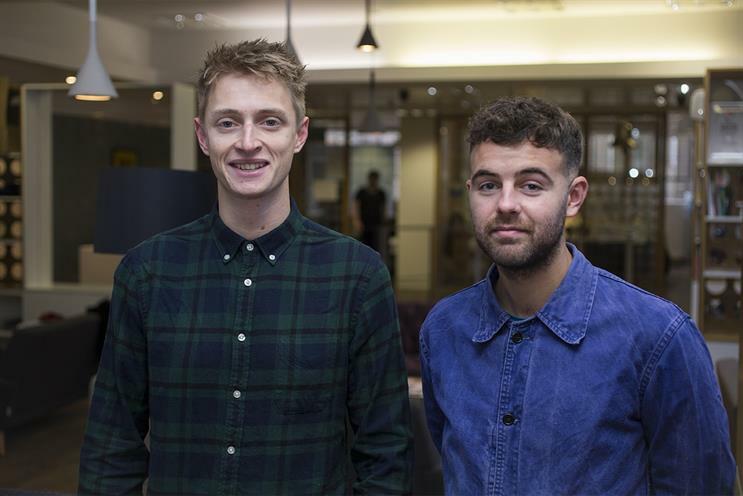 CHI & Partners has hired the TBWA\London creatives Ben Fallows and Matt Deacon, the duo behind much of the shop's Lidl work. Fallows and Deacon will work across CHI & Partners’ suite of clients. They are likely to start with recent wins Royal National Institute of Blind People and McVitie’s as well as Lexus and News UK. At TBWA\London for the last three years, Fallows and Deacon have worked on the Omnicom shop’s Lidl account, including creating its 2015 Christmas campaign "School of Christmas". Creative Circle named the duo Most Promising Newcomer at its awards in April 2016. Yan Elliott, joint executive creative director at CHI & Partners, said: "Ben and Matt have had an incredible start to their career, creating truly noteworthy work for Lidl, and we’re absolutely stoked to have them join us at CHI. "They have bags of energy, bags of talent and they’re lovely people – Micky and I expect great things from them on our clients, current and new, this year." CHI & Partners appointed Elliott, then creative partner at Lucky Generals, as executive creative director alongside Micky Tudor, then deputy executive creative director at CHI, in October last year. Fallows and Deacon will report directly to Elliott and Tudor. In addition to "School of Christmas, Fallows and Deacon were behind TBWA’s Easter 2016 ad for Lidl ("Lidl surprisers") as well as the blind taste test campaign "Shop a Lidl smarter" in 2015. Fallows said: "We couldn’t have asked for a better introduction to the industry than the one we’ve had at TBWA, but CHI is an opportunity we couldn’t resist. We’ve got a huge amount of respect for Yan and Micky; they’ve got some big plans for CHI – and we’re incredibly excited to be a part of it." TBWA\London’s executive creative director Graeme Douglas left the agency earlier this month and joined Bountiful Cow as strategy director.